Vision Health | Your Health. Your Lifestyle. Wear sunglasses year–round. Whether it’s summer or winter, protect your peepers — ultraviolet light reflects from sand, snow, or pavement; repeated exposure to direct sunlight can harm your corneas. Most sunglasses screen out 99%–100% of UV rays — and there are lots of lenses to choose from. Protect your home. Slips and falls account for more than 10% of eye injuries. Tumble–proof your rugs and shower mats, and secure loose fixtures. Also wear protective glasses when mowing, weeding, opening gas cans, and using most tools. Watch out at work. About 1000 eye injuries occur daily in American workplaces at a cost of $300 million/year in lost time, medical expenses, and workers’ compensation costs, the United States Department of Labor says; flying particles and chemical contact are common culprits. Play it safe. Nearly half of all eye injuries occur recreationally. So slide on your safety specs during high–risk sports such as basketball, paintball, baseball, softball, lacrosse, hockey, and tennis. 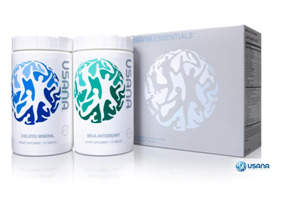 Eat eye–healthy food: Omega–3 fatty acids can delay macular degeneration; eat fish twice a week to load up. Fruits and vegetables are other great choices for potent amounts of beta carotene, vitamin C, and vitamin E.
Drink green tea: Research shows that the antioxidants from green tea can protect eye tissues. Protect yourself: Wear goggles when playing sports — an inadvertent finger to the eye can be extremely painful and damaging. 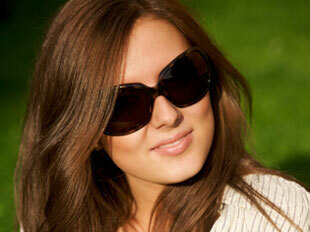 Keep your shades on: Sunglasses negate harmful ultraviolet sunlight. But make sure those shades block 100% of UV rays. Look around: Your eyes will strain if they’re constantly glued to a computer monitor, so refocus on different parts of the room every 15 minutes or so. Workplace eye injuries are on the decline due to good worker safety practices. But accidents involving common household products cause 125,000 eye injuries every year — and 90% of them are preventable, according to Prevent Blindness America. Poor diabetes control can lead to blindness, cataracts, and glaucoma — if you have diabetes, follow your healthcare provider’s instructions; if you don’t, stay physically active, make smart nutrition choices, and maintain a healthy weight. Review the handy eye safety checklists for adults and children at Prevent Blindness America. You don’t need 20/20 sight to spot ways to save on the high cost of glasses and contacts. You just need to know where to look. If you’re among the two-thirds of adults who need glasses or contact lenses, you know vision care often comes at eye-popping prices. You can easily drop $200 for a pair of basic glasses; spring for add-ons like anti-glare lenses or designer frames and the price can double. If multiple members of your family need corrective eyewear, you could face a bill that tops $500 to $1,000 in a single year. Sure, insurance and shopping at discount retailers can help cut costs. The savings, though, may not be as great as they first appear. And if you’re not careful, you can end up sacrificing lens quality and safety to save a few bucks. Use these strategies to get the best care for the best price. If you work for a large employer, you’re probably eligible for vision insurance. Coverage usually includes an annual eye exam and a set amount toward the purchase of contacts or eyeglass lenses – say, $130 a year, and another $130 for frames every year or two. You may get a discount on anything over the limits. Coverage runs about $75 to $120 a year for singles, $215 to $360 for families. Worth it? Run the numbers to see what you’d pay with and without the plan. Generally the answer is yes if you like to update your glasses every year or two, or if you wear contacts, since you’ll need to replace them regularly (commonly, every two to four weeks). Coverage also makes sense if your children need corrective eyewear. It’s not unusual for a child to need an update on glasses every year. Work for a company that doesn’t offer coverage? You can buy a standalone policy ($120 to $190 a year for individuals, $360 to $575 for families) or a discount plan, where you’ll save 20% to 60% at participating retailers. Find both plan types at ehealthinsurance.com. Again, do the math to see if buying a plan makes sense. Doctor’s offices. 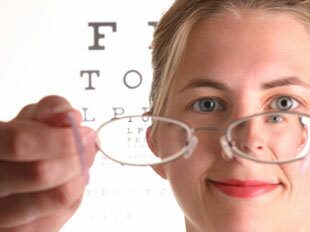 Optometrists and ophthalmologists tend to sell more expensive eyewear but offer highly personalized service. Specialty retailers. Stores that advertise great deals on glasses (say, buy one pair, get one free) often press you to spring for upgrades that push the final price as high as what you’d pay at the doctor. Plus, if you have insurance, you may not qualify for the deal. Discount stores. Be sure to check prices at Costco, which has a rep for good eyewear at low prices. Online retailers. You can get great prices on contacts. Be wary, though, of ordering glasses online. Often the lenses can be unsafe. Do you only need glasses with magnifying power for reading? Those $10 drugstore specs will do just fine. For other types of glasses, limit ad-ons, which can really drive up your costs. Unless you’re constantly moving from indoors to out, pass on photochromic lenses that darken in the sun and lighten indoors (about $90). Understand that high-index lenses ($30 to $300), which reduce the thickness and weight of glasses, serve a primarily cosmetic rather than corrective function. Probably worth it: a glare-reducing anti-reflective coating ($50 to $115), helpful if you wear glasses all day or drive a lot at night. As for frames, good-quality ones cost between $100 to $200. Anything more than that and you’re just paying for the name. Buying from an eyeglass website seems to offer big savings … but specs ordered online may have quality or reliability issues. 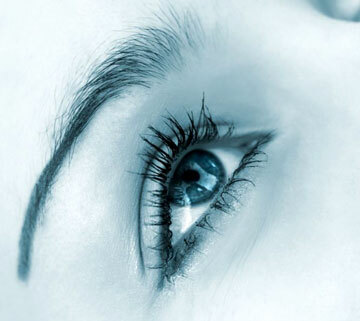 Chronic Dry Eye (CDE) is a disease with potential consequences for your eyes. The symptoms of CDE disease – dryness, stinging, itching, burning, a gritty or sandy sensation, sensitivity to light, excessive tearing, blurry vision, or difficulty seeing at night – can limit your ability to perform daily activities that involve your eyes. And over time, if not managed properly, CDE may worsen and have potential consequences for your eyes – damage to the eye surface, increased risk of eye infection, and impaired vision. The good news is that there are management options available for CDE. If you think you have CDE disease, it’s important to make an appointment to talk with your eye doctor. Countless triggers provoke tears — pain, grief, joy, hormones… even genetic influences. Regardless of the catalyst, most people report feeling better after a good cry. But the benefits of blubbering go beyond emotional release. Research suggests the experience, unique to humans, may be a natural and necessary conduit for biochemical cleansing — helping the body usher out toxins and reset healing processes. Sobbing flushes stress hormones while prompting endorphin production — the feel-good chemical responsible for soothing raw pain, calming overstimulation, and boosting optimism. Determine your comfort zone. Some people want a shoulder to cry on, while others prefer to snivel in private. Feel free to retreat from public if you’d rather be alone, or call a friend and let it out. Enlist the aid of an artificial stimulus. Sometimes you may want to cry but the dam won’t break. Give it a nudge by popping in a movie or song that ignites emotion. A classic tearjerker can summon the waterworks and provide relief. Pour out words. Keeping a journal helps empty internal strife, which can open the tear ducts.